Keep track of your fixed assets across multiple locations. 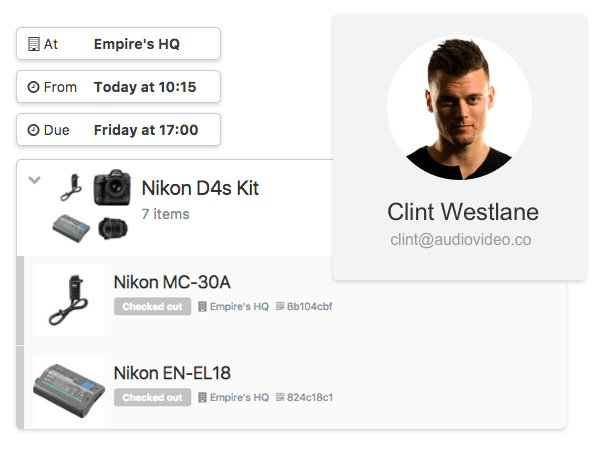 Manage your equipment from anywhere. Simply scan an item's barcode to check it out in just a few minutes! Paperless and convenient. Let users create their accounts & make reservations and checkouts themselves. Save time and hassle! 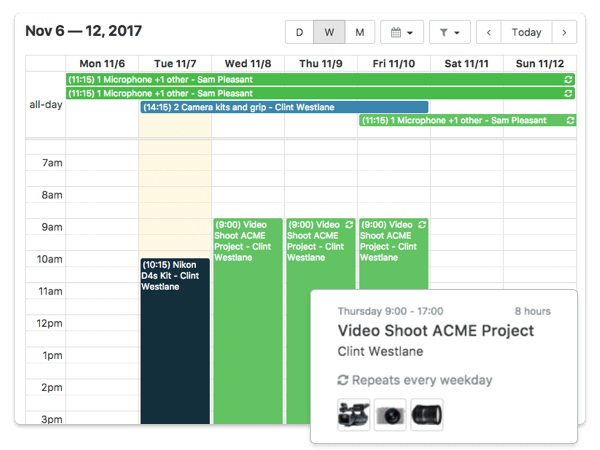 Generate agreements from a template every time there is a checkout with the software. 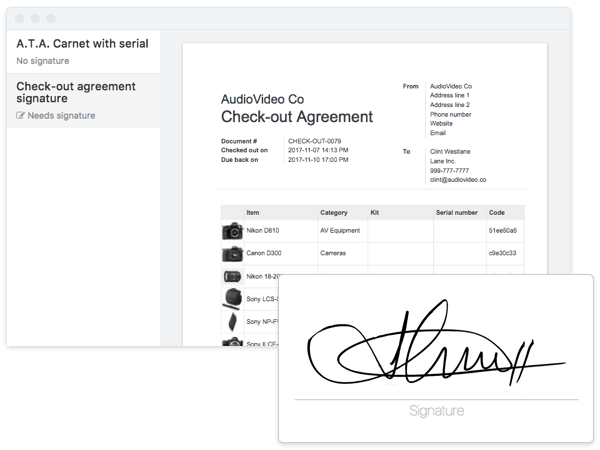 Let people sign a check-out agreement digitally and have it shared and saved automatically. Make sure you never miss who has what or when it’s due back ever again! Send automated emails and mobile notifications with the Zapier integration for CHEQROOM. Fast and easy! 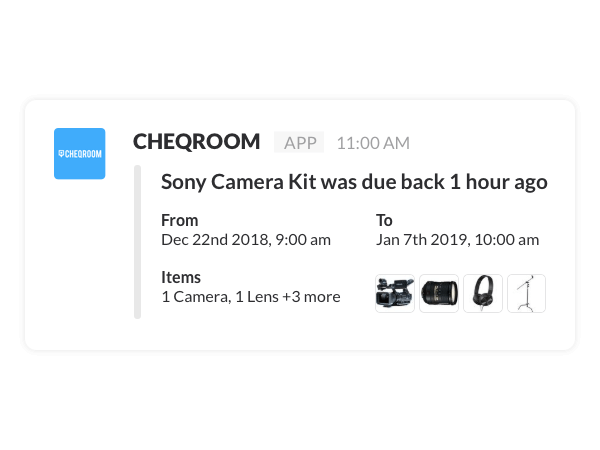 Users are notified when items they checked out are almost due back. So they have no more excuses to let them go overdue. If an item needs cleaning or repair, users can flag it to let you know it needs maintenance. Instantly get notified in your Slack channel whenever an item is checked out our booked. 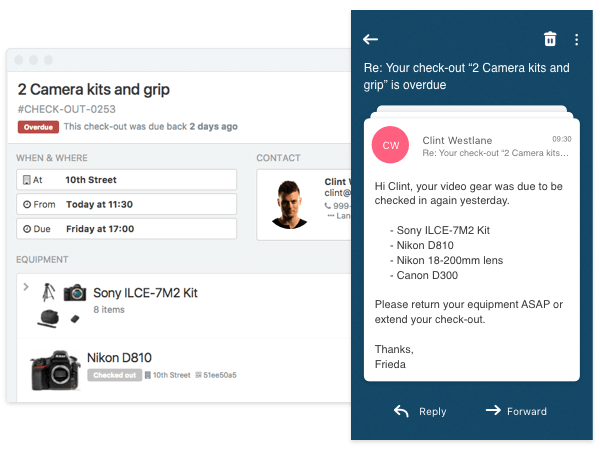 No need to chase down equipment anymore: get notified when items haven't been returned and start a conversation with the person who's responsible.